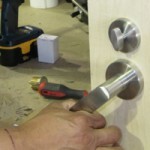 Whether you live in Markham or Vaughan, we provide a comprehensive locksmith service that is second to none. Whatever your locksmith needs, FC Locksmith is here to assist. We’ve helped countless customers with a wide range of needs, from those in need of a duplicate key to those that require assistance following a burglary. Our team of fully-trained locksmiths and technicians are able to install and repair locks, doors, security fittings, as well as offer you the very best in security advice. If you want your property to realize its full security potential, just give us a call. As well as looking after Thornhill’s residents, FC Locksmith also lends its watchful eye to the region’s businesses. We’ve helped business owners regain entry to properties when keys have gone missing, as well as provided complete overhauls of locks, keys, and alarm systems. Once in a while we’ve even been able to help open a keyless filing cabinet or crack a safe. You might not have considered it before but a locksmith can be very useful when it comes to your car or truck also. Here at FC Locksmith we’ve helped people get into their car after they’ve lost their keys. 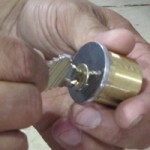 We’ve also cut duplicate car keys and reprogrammed or repaired transponder (automatic) keys. You never know when you might need a locksmith. That’s why FC Locksmith is available to the people of Thornhill 24 hours a day. Whenever you need our assistance, we will to our very best to have one of our experts out to you quickly and without hassle.